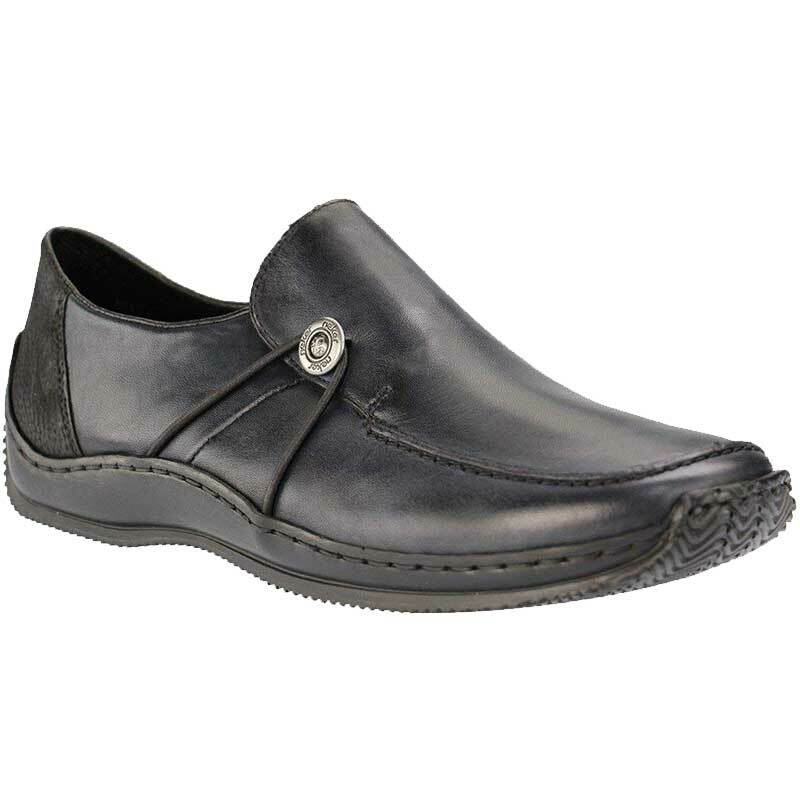 Slip into ultimate comfort in the L1781 from Rieker®. Supple leather upper with a textured heel and decorative loop for an appealing appearance. Side goring guarantees effortless on/off wear and a customized fit every time. Soft leather lining conforms to the foot and wicks away moisture to keep you dry. Leather insole provides cushioning and support in order to reduce fatigue. Durable synthetic outsole maintains traction and grip and helps your stride remain steady.